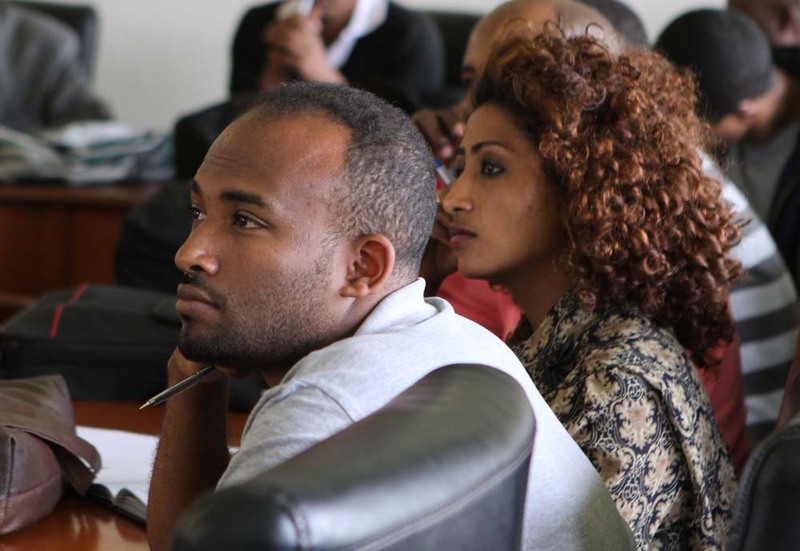 Attentive students at the One Health Summer Institute in Ethiopia. 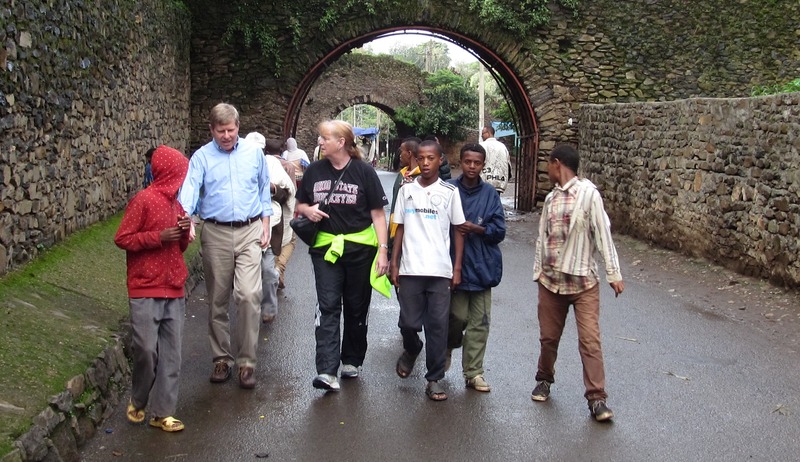 The One Health Summer Institute is one of the premier activities of the Ohio State University / Ethiopia One Health Partnership. 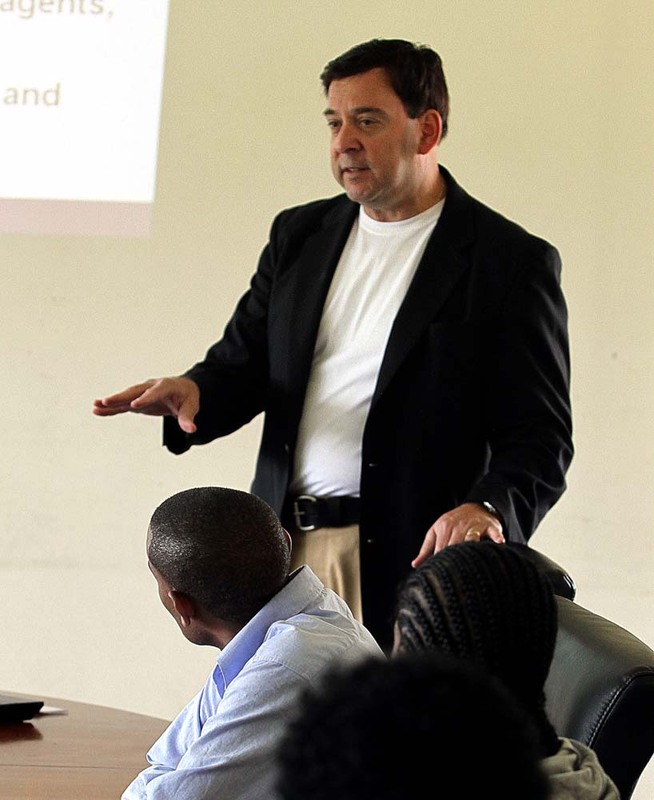 The institute is comprised of six to eight weeks of courses, projects, and workshops led by Ohio State faculty and Ethiopian partners. Professor Micheal Bisesi of Ohio State’s College of Public Health at the Institute. 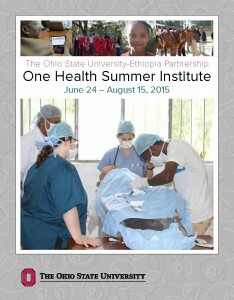 The Ohio State University Health Sciences-Ethiopia One Health Partnership is pleased to continue the 2015 Summer Institute. The Ohio State University is committed to becoming a preeminent global university, one that provides a solid foundation for students and faculty to lead and collaborate in international initiatives that enhance knowledge, partnerships and a common goal of sustainable development and health for all. Ohio State Professors Tom Wittum (Vet Med) and Karla Zadnik (Optometry) travel with a crowd during the Institute.